The EFX Reusable Meridian Pack - EFX’s technology consists of frequencies that are highly compatible with both humans and animals on a cellular level. It works instantly when positioned in close proximity with the body’s electromagnetic field and real time functional performance gains can often be demonstrated. 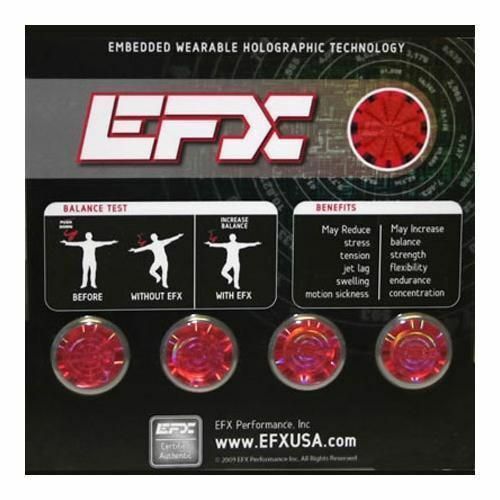 EFX efficiently tunes the body, immediately unleashing its full potential for function and performance. for submitting product review about EFX Reusable Meridian Pack.